Looking after the sensitive areas of your skin is especially important to minimise irritation and environmental damage. Sensitive skin is especially prone to dryness, cracking and irritation, so it's important to make sure you're using the right products to target problem areas. Caring for your skin can be tricky when you don't want to upset the delicate balance of sensitive areas. Our skin is the body's largest organ with different areas of varying sensitivity. Your face, eyes and hands are three areas which require daily attention to maintain healthy skin tissue, but some of us might not be taking enough care of these sensitive areas. 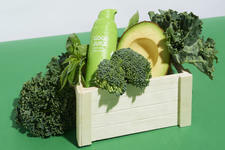 Skin can easily become dry, cracked and irritated, especially in the harsher weather conditions of the cooler months. 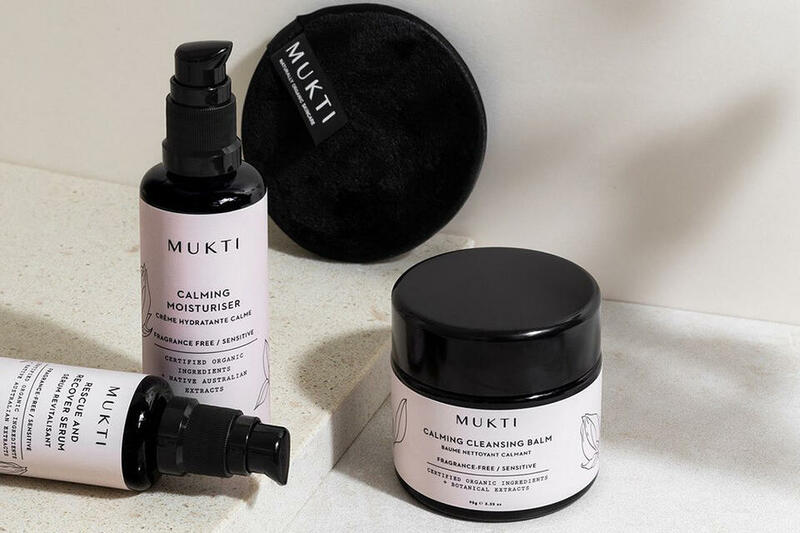 Gentle, soothing and calming skin care products with naturally nourishing ingredients may help combat irritation from the elements and allergens as well as promote healthy skin cell regeneration and renewal. The skin on your face is much thinner than the skin on the rest of your body, making your delicate complexion more prone to irritation and surface damage.1 Because of this, the face has different moisturising needs, requiring more careful attention and gentle hydration.2 Facial creams are often thinner in consistency than other body care products so as not to overload the skin with more than it can absorb. The sensitive skin cells on the face need to be provided with protection from sun damage, allergens and irritants to avoid premature ageing and damage to delicate skin tissue. Simple skin care products such as a gentle moisturiser and facial cleanser with antioxidant and vitamin rich ingredients can complement your skin's natural chemical balance, providing lasting and effective protection. The 100% Pure Organic Rose Water Sensitive Skin Moisturiser is formulated for dry and sensitive skin, combining calming botanical ingredients such as Rose Water, Aloe Vera, Calendula and Chamomile with skin firming Sea Buckthorn, Primrose Oil, Hyaluronic Acid and CoQ10 which may restore moisture, suppleness and elasticity to sensitive or inflamed skin. This gentle, soothing formula also contains antioxidant and vitamin rich Acai and Goji Berry which may help promote a glowing, plump and youthful complexion which is protected from any irritants. Perfect for sensitive, dry and inflamed skin, the Lavera Cleansing Gel is a lightly foaming formula which gently removes excess oil, dirt, impurities and makeup without stripping the skin of its natural moisture. Containing Organic Lemon Balm, Vegetable Glycerin, Echinacea and healing Mallow Extract, this vegan and gluten-free cleansing gel is ideal for use morning and night. On damp skin, massage in gently, then rinse with fresh water. When you’re feeling weary, the first place to show it is the skin around your eyes. From dark circles and bags to puffy eyelids and fine lines, it is essential to find an eye cream specially formulated to nourish these areas while using ingredients that are gentle enough for the most sensitive of skins. The skin tissue beneath your eyes is especially thin, prone to tearing and wrinkling. Naturally hydrating ingredients such as Aloe Vera and Rosehip Oil which may help to regenerate tissue at the cellular level and plump out fine lines. The caffeine found in Coffee Beans and Green Tea also has natural anti-inflammatory properties which may help to reduce puffiness and bags. 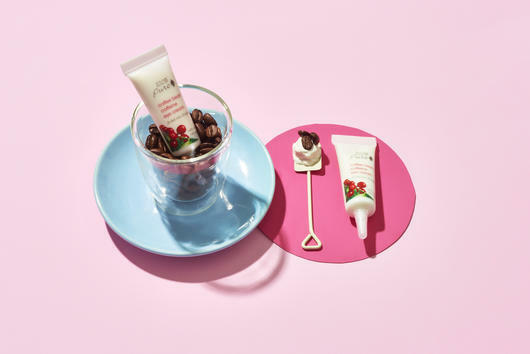 The 100% Pure Coffee Bean Caffeine Eye Cream contains an ultra-hydrating combination of Aloe Vera, Green Tea, and Rose Water as well as the caffeine rich extracts of Green Coffee Beans which may help soothe and nourish the delicate skin under the eyes. This circulation boosting formula brightens, smooths and refreshes the under eye area, helping to combat signs of ageing such as fine lines, wrinkles and dark circles. Ideal for sensitive and mature skin, the Andalou Naturals 1000 Roses Eye Revive Contour Gel may help to naturally tone, tighten and refresh the eye area. Providing soothing hydration for the delicate eye area, this gentle gel may help reduce puffiness and dark circles caused by environmental damage. Formulated with soothing Aloe Vera, Alpine Rose Stem Cells, White Tea and Cranberry Juice, this calming vegan and gluten-free gel revives and helps replenish tired skin and promotes a healthy glow. Gently squeeze and roll under the eye, extending toward the temple and across the browbone. No matter how you spend your day, odds are your hands are the ones doing all the work. The skin on your hands comes into contact with a lot of environmental irritants, and as a result our hands can lose a large amount of moisture and require some serious care and attention. Most hand creams are heavier in consistency than all-over body lotions and face creams because they need to work harder to penetrate through the rough surface and tough skin of the hands and nails to restore moisture and repair damage. Keep a hand cream in your handbag or at your desk. A simple and gentle yet effective formula, the Weleda Almond Sensitive Skin Hand Cream calms irritated and inflamed skin, providing moisturising protection for sensitive skin. This hydrating and lightweight cream utilises the intensely hydrating properties of Almond Oil helping to keep skin soft, supple and smooth. Fast absorbing and lightly scented with Almond Extract, this vegan formula has been clinically tested and dermatologist approved for delicate skin, which may help to balance pH levels and restore moisture. The Skin Juice Perfect Paws Softening Hand and Foot Cream is the ideal multi-purpose cream for rich hydration. Formulated with Omega 3 fatty acids found in botanical seeds, this deeply restorative cream may also help to gently treat dry skin conditions, soothing and softening cracked, rough and irritated skin. 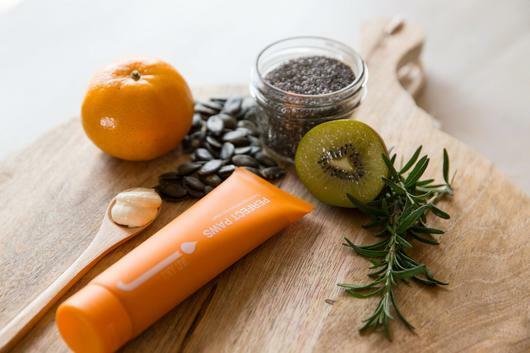 Chia, Pumpkin and Kiwi Fruit provide a boost of skin-loving vitamins while Sunflower, Sesame and Grapeseed Oils penetrate thirsty hands and cuticles. This regenerative cream has a delicious fruity scent thanks to refreshing Lemongrass and Tangerine. Source: 1Queensland Health, 2Body + Soul.